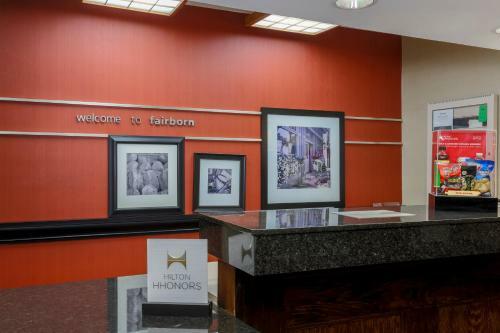 The University of Dayton is within a 10 mile drive from this hotel in Fairborn, Ohio. 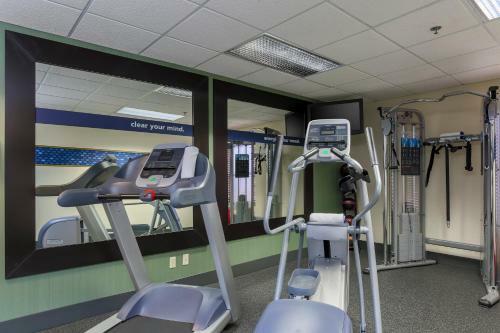 The hotel features an indoor pool and gym while guest rooms provide free Wi-Fi. 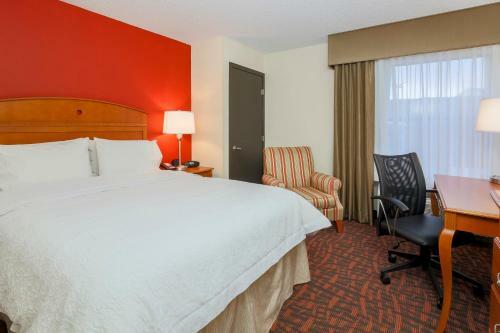 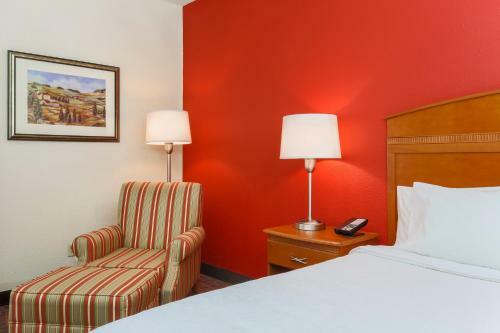 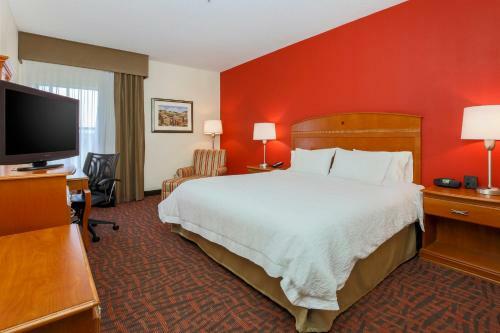 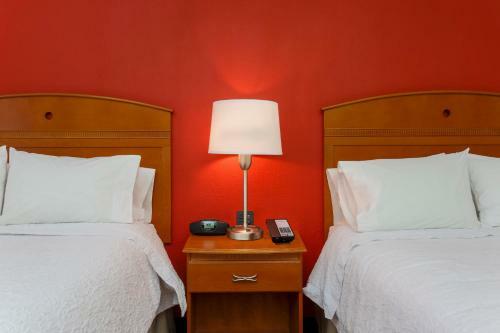 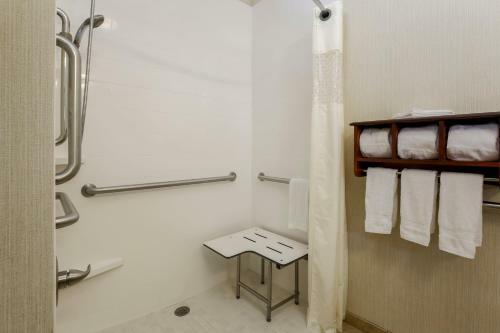 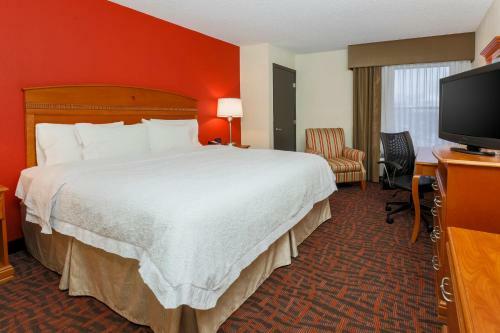 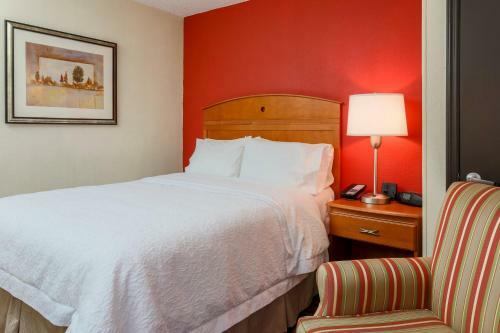 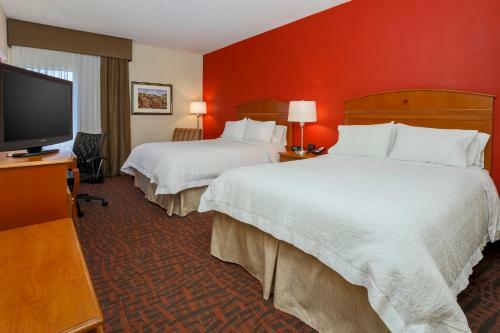 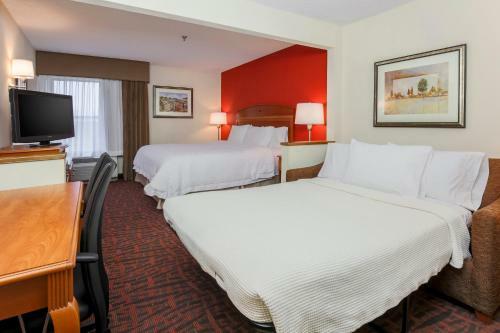 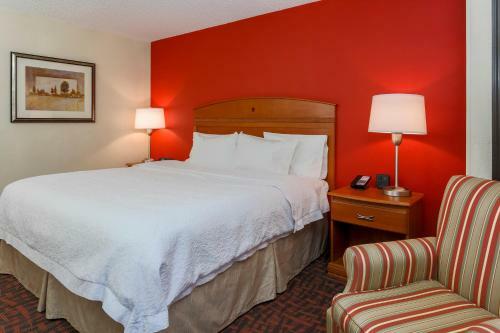 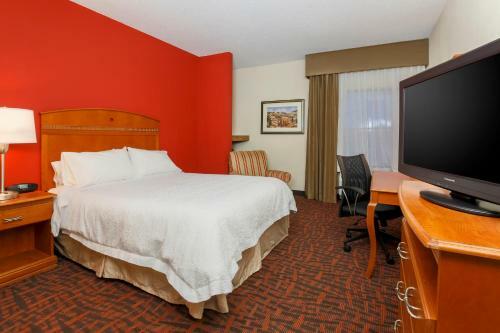 Spacious rooms at the Hampton Inn Dayton/Fairborn include white linens by a red painted wall. 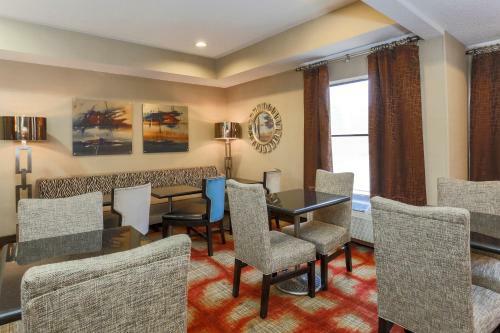 Light wood furniture and a seating area are provided. 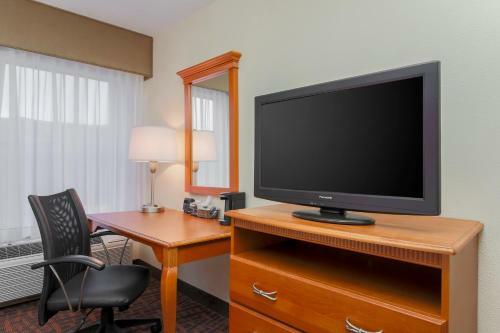 Each is equipped with cable TV and coffee facilities. 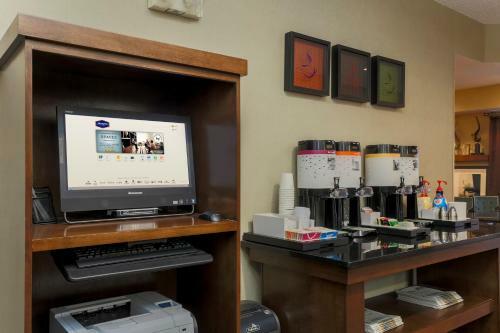 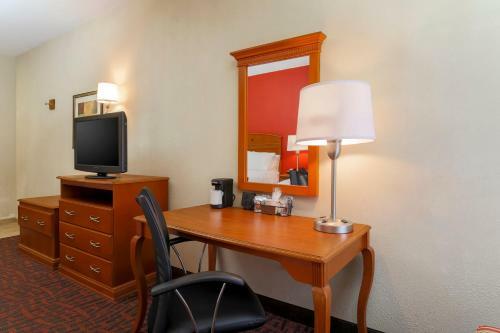 The hotel offers a 24-hour front desk and a business center. 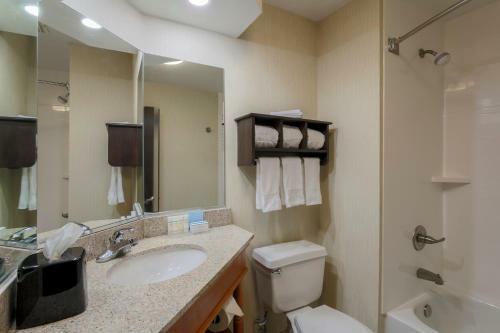 For added convenience laundry facilities are also available. 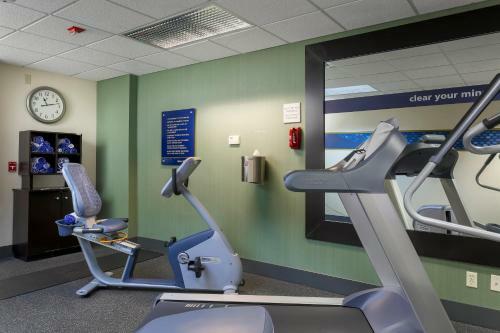 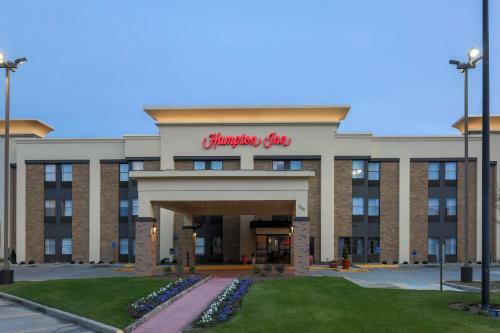 Dayton/Fairborn Hampton Inn is 3 miles from the United States Air Force Museum. 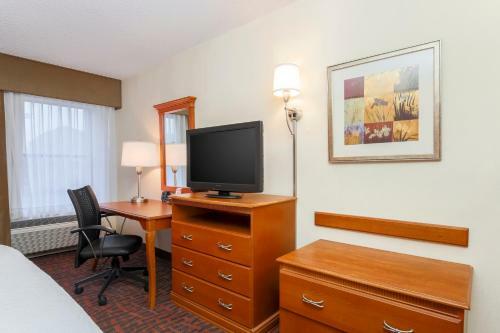 Dayton International Airport is 15 miles away. 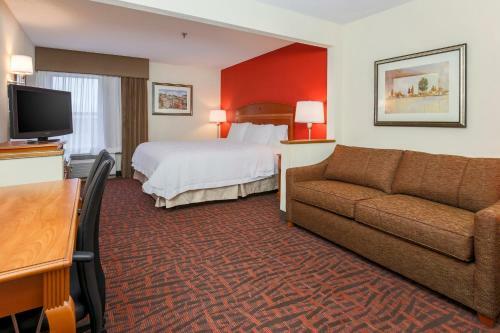 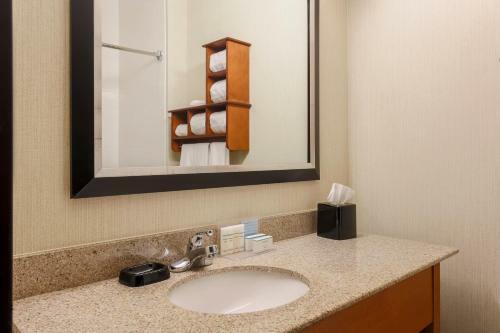 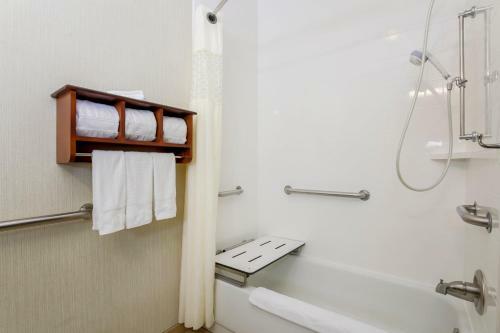 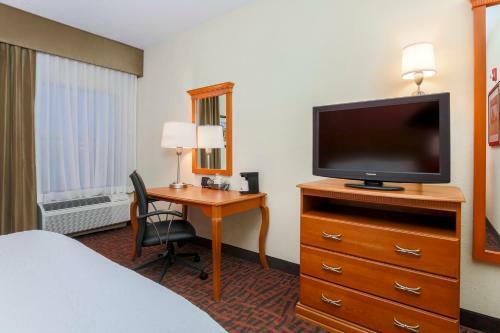 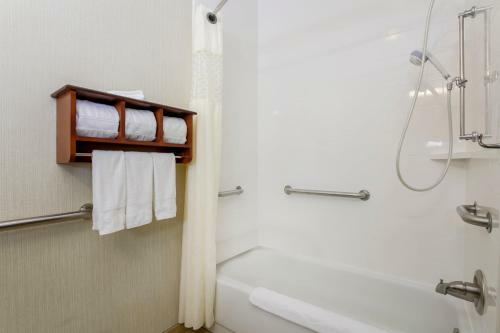 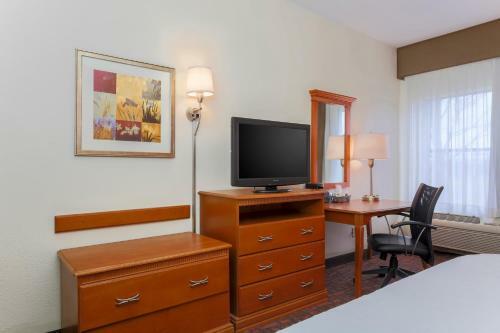 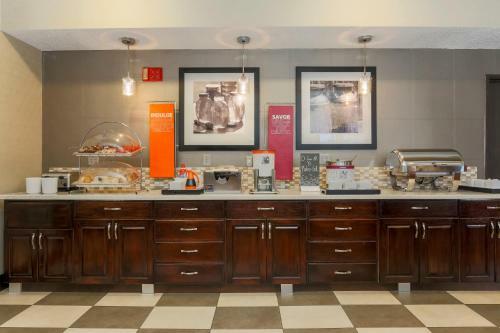 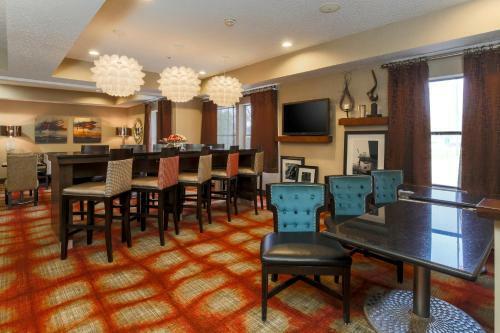 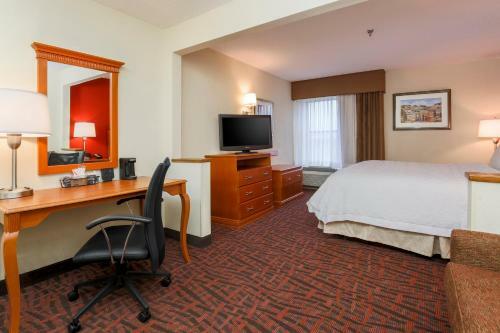 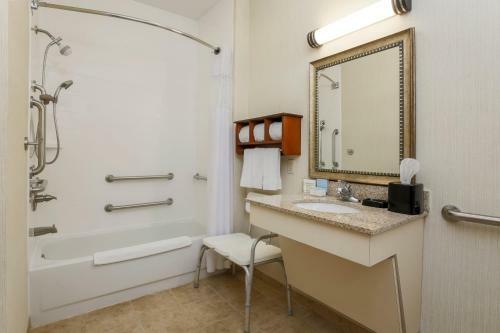 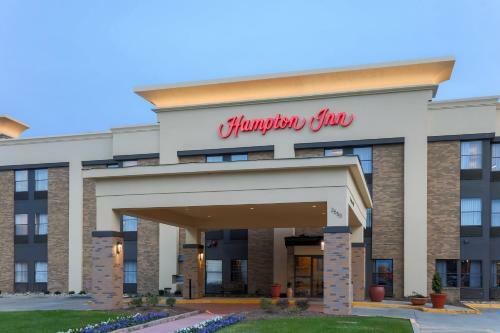 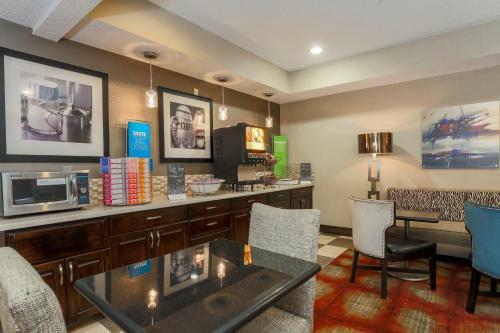 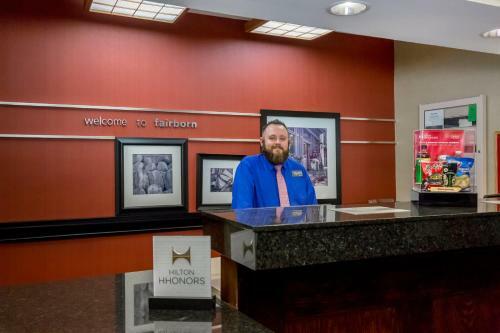 the hotel Hampton Inn Dayton/Fairborn so we can give you detailed rates for the rooms in the desired period.